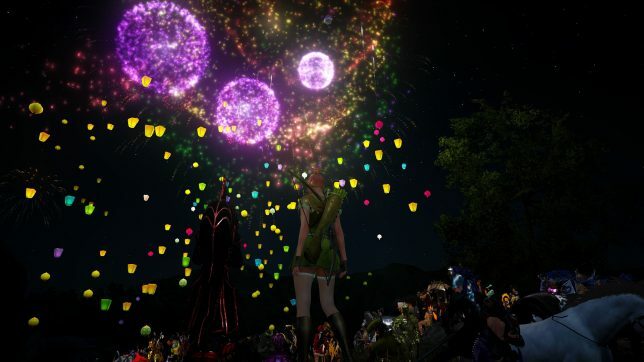 A few minutes to midnight EST in Black Desert Online, the GMs killed the lights turning day to night in-game for fireworks to celebrate the Lunar New Year. We gathered on the cliff overlooking the seaside town of Velia on the NA_Velia3 channel. One minute to midnight, January 27, 2017. In-game it was actually morning with the GMs giving us the night sky. Some of the sky lanterns had been added to the game earlier while others were launched by players gathered on the cliff during the event. All that collected color was wonderful to witness. Fireworks and sky lanterns for Lunar New Year! 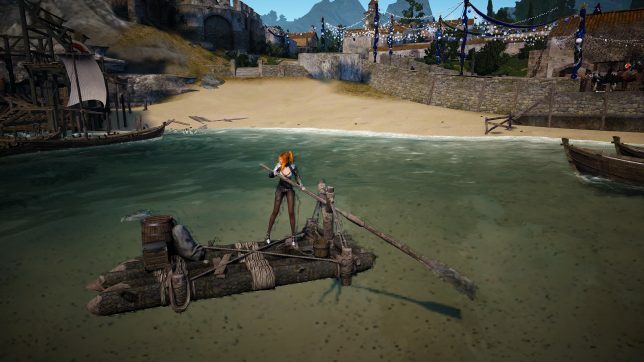 Landlubber no more, my raft is completed. 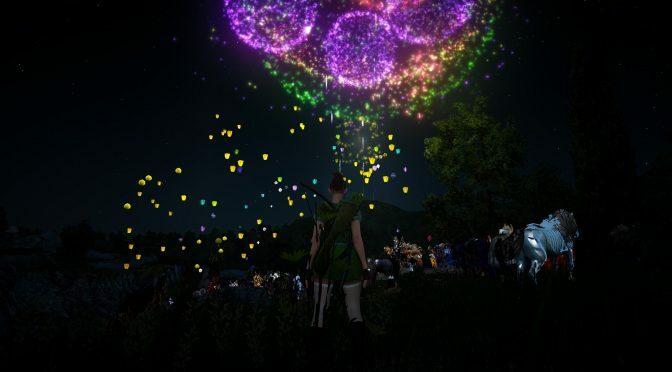 My thanks to the GMs for putting this celebration together in Black Desert Online. It was a great gathering in a fun game.